Twelve people followed nearly impossible journeys to find success and happiness. 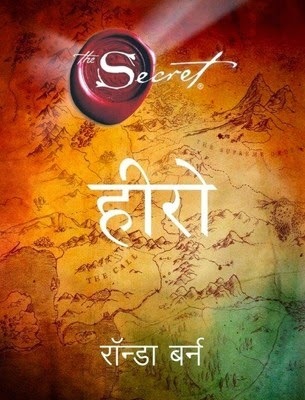 Find out what makes their journey possible in Hero: Rhonda Byrne’s fourth installment to Secret, her best-selling self-help book series. This is the Hindi translation of the original English version. Hero is the compendium of wisdom from twelve men and women who have wrought success into their lives. Their lives were plagued with hardships but they survived and thrived through them all. Everyone has a hero inside, waiting to be awoken. Rhonda Byrne reinforces her beliefs in this book, that inspiration is all around us, that happiness and courage are the greatest strengths by which one can make their lives heroic. Rhonda Byrne is an Australian television writer and producer. Her best-selling books Secret,The Power and The Magic catapulted her to fame and fortune. She has since appeared on the Oprah Winfrey Show and was named one of the 100 most influential people in 2007 by Time Magazine.